Vivo's alleged upcoming flagship with tiny bezels and no notch leaked! Home / leaks / mobile / vivo / Vivo's alleged upcoming flagship with tiny bezels and no notch leaked! Today, a new live image of an alleged upcoming Vivo flagship smartphone have appeared. It's a stunning handset with the possible highest screen to body ratio yet! Based on the image, it has super tiny top and side bezels. The bezel below is a bit thicker than the side and top bezels, but it is noticably much slimmer than the bottom part of most flagship smartphones with 18:9 screen aspec ratio today. However, we don't know where Vivo will place the front facing camera for selfies here. 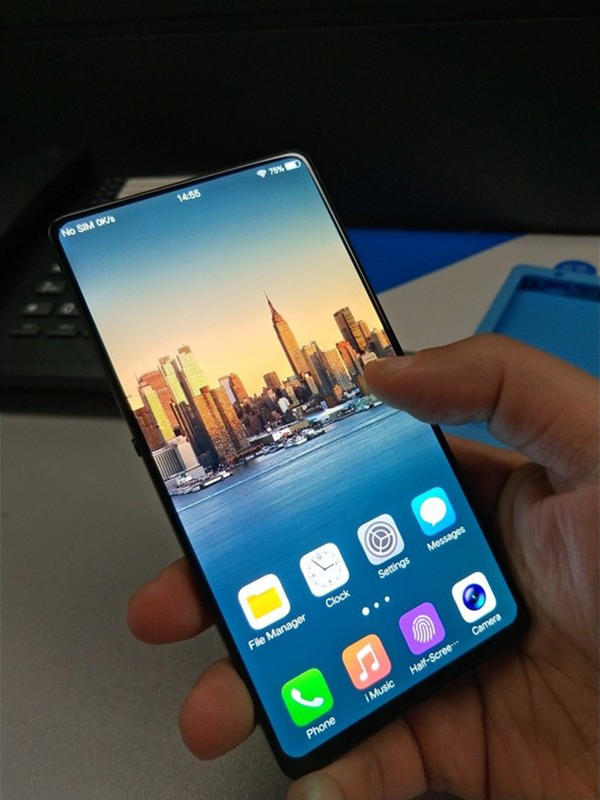 It is possible that they will place it below just like what Xiaomi did with the original Mi Mix few years back. According to rumors, it could be the Xplay7. Based on its leaked presentation, the Xplay7 has a 92.9 percent screen to body ratio and a whopping 4K resolution. We could also see the in-display fingerprint scanning technology found on Vivo X20 Plus UD in it. It's powered by the new 64-bit Snapdragon 845 processor, Adreno 630 GPU, whopping 10GB RAM, and 256GB or 512GB storage inside as well.